Here are some frequently asked questions to give you more information about MRI. What is the procedure to have someone come to MRI for counseling? Follow your organization’s procedures for approval. Then contact MRI to check on our availability and to confirm dates and other details. When we receive a request from a guest, the next step is to set up an introductory session by phone, Skype, or in our office. The session usually takes about an hour. One of our counselors will share about who we are, how we work, hear your story, and make plans of how we might help. The guest load at MRI varies, and there is often a waiting list. This influences the arrival date of a new guest as well as the length of stay. MRI is located in Kirkland, Washington, on the east side of Seattle. Our office is conveniently located near Interstate 405 near downtown Kirkland, not far from the waterfront. Plan your itinerary to arrive at SEA, Seattle-Tacoma (Sea-Tac) International Airport. What about housing and getting around? We are often able to provide our guests with assistance in locating accommodations and transportation. For example, we are sometimes able to arrange a rental from a local missionary car ministry. For accommodations, we recommend the Extended Stay Deluxe hotel or the Marriott Residence Inn Seattle Northeast. Both are located in Bothell, WA. Contact the MRI office for information about our special rates with these hotels. What can I expect while at MRI? Guests may expect an "intensive week" approach. We meet with guests for daily sessions Monday through Thursday. Married couples can expect to receive both individual and couple sessions. Singles are welcome and will have individual sessions tailored to the need. We use a team approach, so missionaries and pastors may see several members of our team. We have a network of professional consultants to whom we refer when resources beyond the expertise of our team are required. We often schedule an introductory phone call before a missionary's arrival or during their process of deciding to come. This gives us opportunity to get acquainted and may help the missionary or pastor determine if "the chemistry is right." We ask that our guests plan to arrive early in the week (on the weekend or on Monday at the latest) to make the most out of their first week with us. The answer to this question is not an easy one with a predetermined response. We recommend that our guests plan to stay "as long as it takes." Addressing personal and relational concerns is not "fast food." We ask guests to plan on a minimum of two to three weeks. Missionaries and pastors have stayed at MRI for periods of time ranging from one week to six months. A few have stayed longer. Are there tests I should do before the intensive week(s)? A packet of assessment tests are given or sent by email to each individual who comes to MRI. When possible these assessments are sent ahead of time so that they may be completed and returned to the office before the guest arrives. Most guests are also asked to complete another assessment upon arrival at MRI. MRI believes strongly in confidentiality; it is one of our core values. Before counseling begins, each guest signs a Release of Confidential Information, and information is only shared with those who are listed on the form. When a guest comes voluntarily, we do not report to any leadership unless a report is requested. When a missionary or pastor is directed by leadership to come to MRI, a report is often issued; the MRI team and the guest collaborate on the writing of the report. There are state regulations for licensed counselors, and MRI complies with both legal and ethical concerns regarding confidentiality. MRI does not have a fee nor charge for counseling. We accept donations from the missionaries and pastors we serve. These donations are often in the form of leadership-approved transfers from a missionary or pastor’s ministry funds to MRI. A contribution equal to a minimum of $75 per person per day is appreciated. MRI is a non-profit 501(c)(3) organization and is dependent on the donations of our guests and ministry supporters. We do not have a fee for services, and services are not denied if the individual is unable to make a donation. MRI counselors are responsible for their personal salaries. MRI does not bill insurance. Guests are responsible for their own expenses including travel, lodging, car, and food. Suggested donation: $75 per day per person. If you would like to give a donation, please click on our Online Giving tab. What is the difference between MRI and MRAP? There is no difference in what they do. The difference is in who each ministry serves. Dr. Jack and Adel Rozell founded the ministry in 1996 (under the name Missionary Renewal Asia Pacific). When Jack and Adel could no longer live overseas, AGWM requested that they begin a member care ministry to Asia Pacific missionaries, which launched Missionary Renewal Asia Pacific (MRAP). Soon thereafter requests for care came from other regions of the world and from pastors as well. 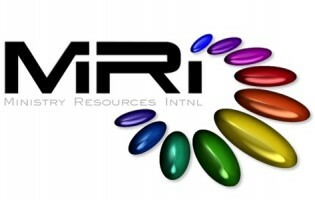 The growing number of guests and the worldwide scope prompted the founding of Ministry Resources International (MRI). The vision and mission statement of both is to enhance the life quality, ministry effectiveness, and longevity of vocational ministers. Member Care is the ongoing preparation, equipping, and enabling of missionaries for effective and sustainable life, ministry, and work. Our mission is to enhance the life quality, ministry effectiveness, and longevity of missionaries. It is holistic and includes spiritual, emotional, relational, and physical matters. It seeks to enable missionaries to make healthy choices by offering ongoing training, resources, and equipping in all these areas. How do you describe the counseling approach employed by the MRI team? MRI is a pastoral care center for missionaries and pastors and their families. Our counseling approach is called Agape Counseling and is based on three principles rooted in the Great Command. We encourage guests to embrace three facts: The first is that “God loves those He sends and is caring for them in a healing way.” Then we counsel a guest to help them discover how God is caring for them and healing them. The third thing we communicate is that as healing occurs we become more effective healers. We do use some clinical resources (testing, licensed personnel and approaches, etc.) in the counseling process as appropriate.